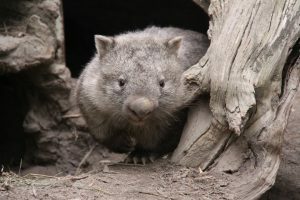 Treating and protecting wombats starts with people. Mange Management is here to educate and provide support with help, knowledge and the tools for mange treatment. 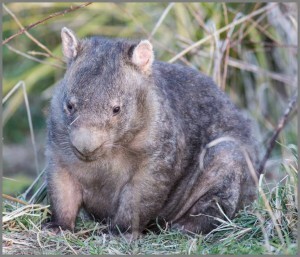 The plight of wombats with mange has been an ongoing concern for many years. Unless Mange is treated the infestation progresses and eventually the wombat is so severely compromised it dies. We can’t as a responsible nation let mange continue its destruction of the wombat population. By doing nothing we ensure that not only will any wombat catching mange die, but we allow it to spread amongst all wombats. 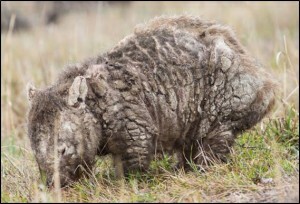 Mange Management, working together with Landowners, Landcare Groups, Friends Groups, in fact any one interested in helping wombats with mange is an ideal way to reach affected areas. Our aim is to eradicate mange and stop the suffering. A win win for everyone especially the wombats. Register a Community Benefit Card under ‘Mange Management’ (CB No. 83411). Just present the card at the checkout every time you shop. Ritchies’ Community Benefit Card Program donates a percentage of the money spent to Mange Management Inc. – at no extra cost to you! Thank you for supporting our wombats!